Last night for FHE Chup and I headed to Lucy and Andrew's farm. Andrew inherited a vintage French moped in the same bold shade of yellow as Chup's Xterra. Only problem was, the cute little motor wouldn't start. As Lucy and I chatted on the front lawn, Andrew and Chup were trying everything known to the mechanically minded to get Pascal (the moped) to take life. At one point they tied a rope to the back of Andrew's truck, attached it to the front of Pascal and drove slowly around the block trying for a jump start. When that didn't work, they tried mass starter fluid which was obtained from the recesses of our garage. Chup was intermittently on his Blackberry Pearl researching and asking questions to Andrew like, "Does is have a 57cc or du-wapp 11-12?" 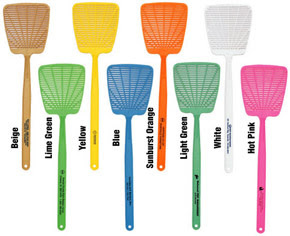 When all resources were exhausted, I mentioned to Chup that it was getting late and we still hadn't purchased a fly swatter. Two weeks ago, I was teasing my thisclosetobeingmysister Lani in Kimberly, Idaho because of her fly infestation. And now, as my story goes, we've got a fly family reunion in our step-down lounge. Whenever I go into watch TV I feel like a carcass. As we drove away I whispered "Je t'aime" to Pascal propped there lifeless in the drive-way. I think I identified with him a little bit. Every time I think, Today! Today is the day I am going to, to, to. . . I realize that I can't get my engine running. It won't even turn over! Because of this condition, I was thinking about hiring someone to come over and feed my dog. Poor Ralph, he knows something is up because he whimpers at me all day. I was expressing my guilt about this when Chup told me that he saw Lyle our neighbor hurl four piece of meaty pizza over the fence (usually it is just a slice or two of dried bacon.) A lot of people don't know this, but when you have a dog, it really does take a village. Other things my engine power can't accomplish: folding laundry, dishes (or walking into the kitchen for that matter), making my bed, scrubbing anything, washing my hair, answering my phone, e-mails or texts and anything that requires my sincerity. But I can sit in my step down lounge, watch TV, and swat flies all day.